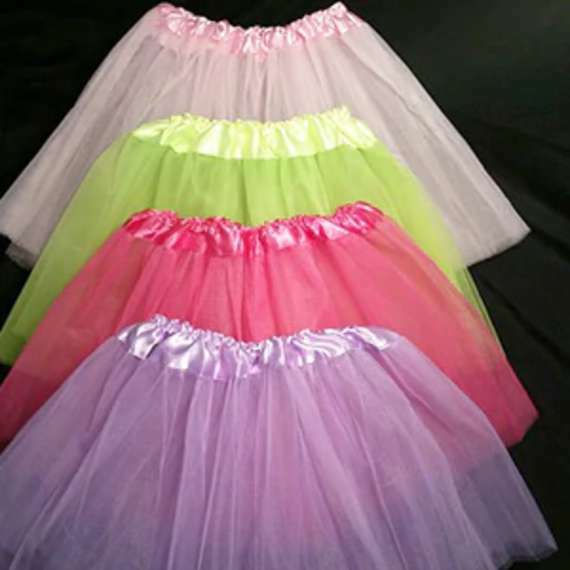 By Wholesale dress up Inc.
Our classic 3 layer tutus are a great deal. Make your sweet girl happy with the versatile kids tutu. At this amazing price you could easily afford more than one for her friends too. These tutus are perfect for a wide range of kids because it has an elastic waistband with a comfortable fit. This simple design is great for ballet tutus, costumes, dance, halloween or just to make your little princess feel special. Perfect, inexpensive and fun for your ballerina. Great for playing dress up with her friends or birthday parties. This website will always save you money, whether buying just one, several or wholesale orders. You can create an entire outfit by simply adding other items right here. Why pay more for one item when you can shop here and get everything without the hassle and extra expense. Be your little princess's hero. You can buy cheap princess products and still resell at a reasonable price. Wholesale pricing for everyone with no minimum order. This 3 layer tutu fits babies to approximately 9-10 years of age. Satin encased elastic waist band goes from about 14" around the waistline to about a 26" waist size. These beautiful 3 layered tutus are about 10" Long. They come in a variety of colors. Products by Wholesale dress up Inc.